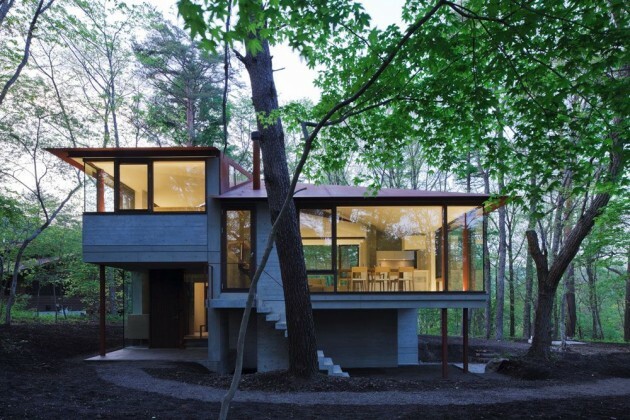 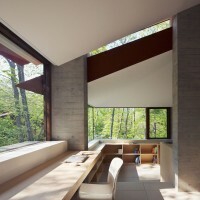 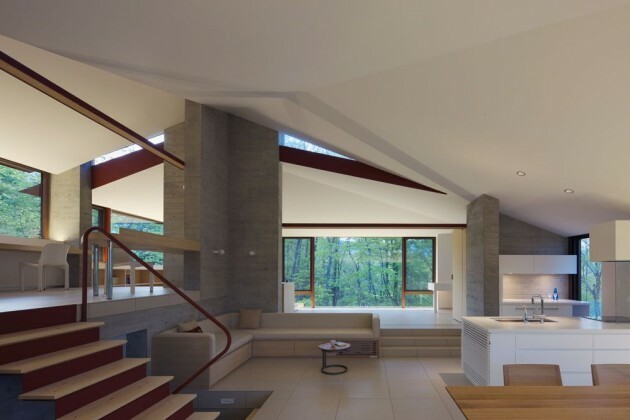 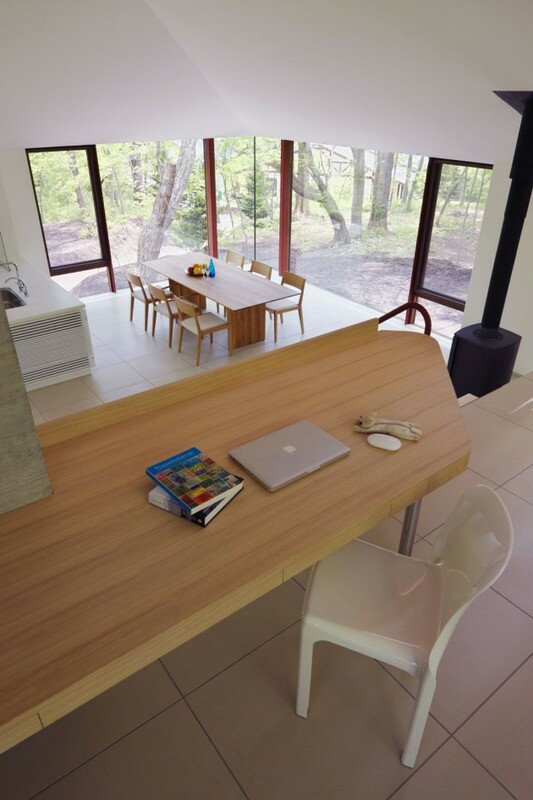 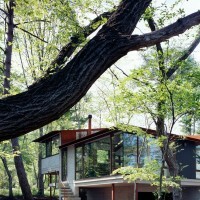 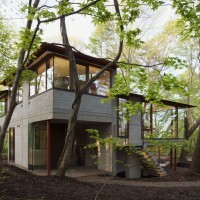 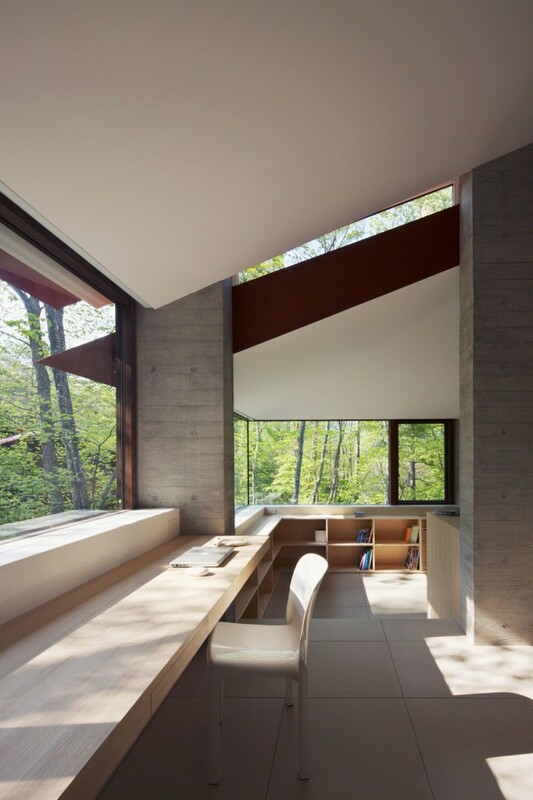 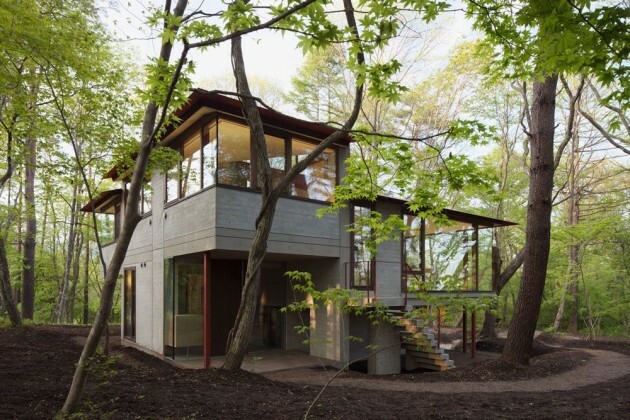 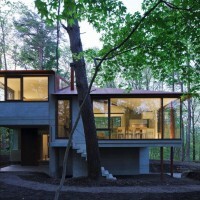 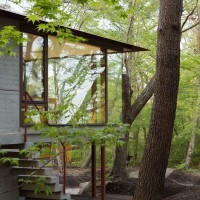 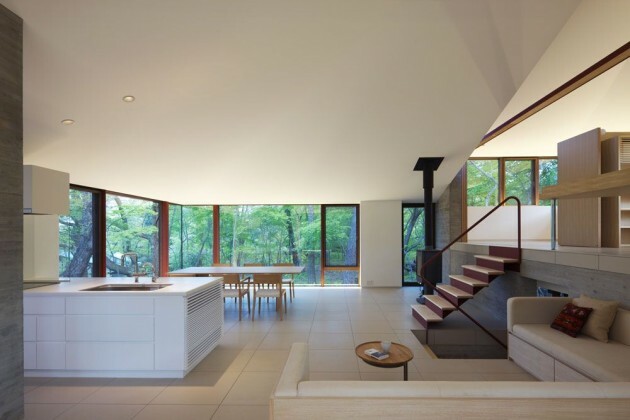 Cell Space Architects designed the Villa-K in Karuizawa, Nagano, Japan. 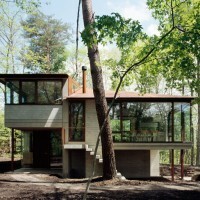 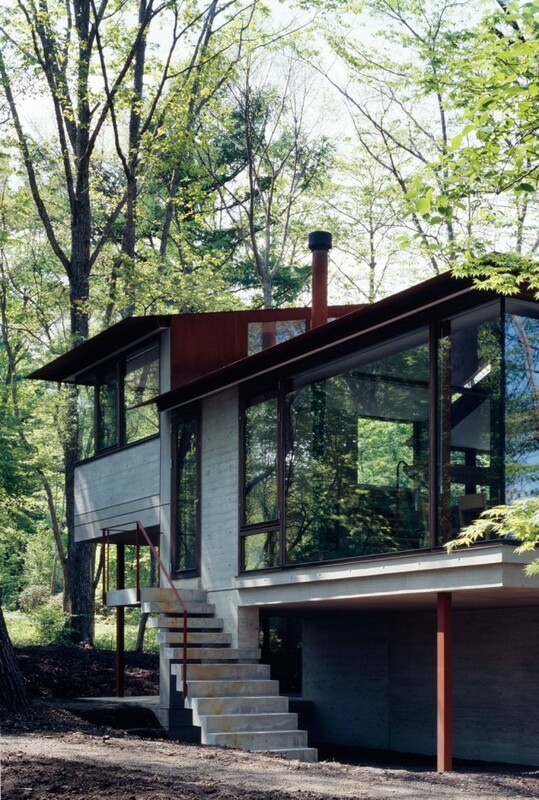 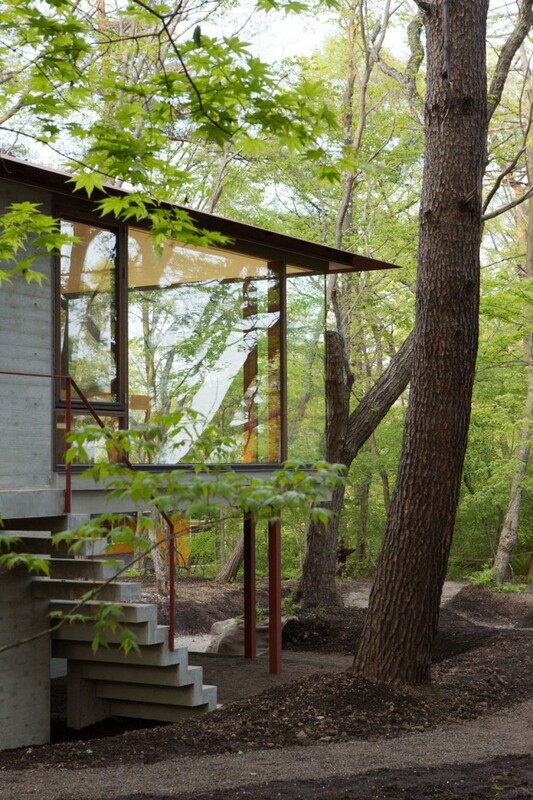 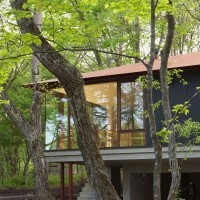 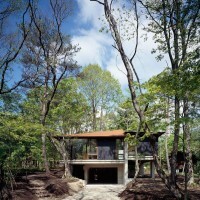 This site is located on a hilltop in one of the eminent Karuizawa villa areas. 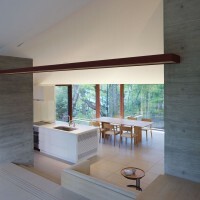 All directions around the site are clear for view in winter.The villa consists of four parts of floors and four parts of roofs around a central pillar. 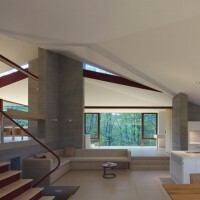 The inner spaces are divided into four parts and, on the other hand, are connected in a spiral around the central pillar. 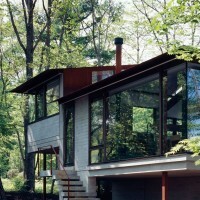 The four roofs are connected with different angles one another. 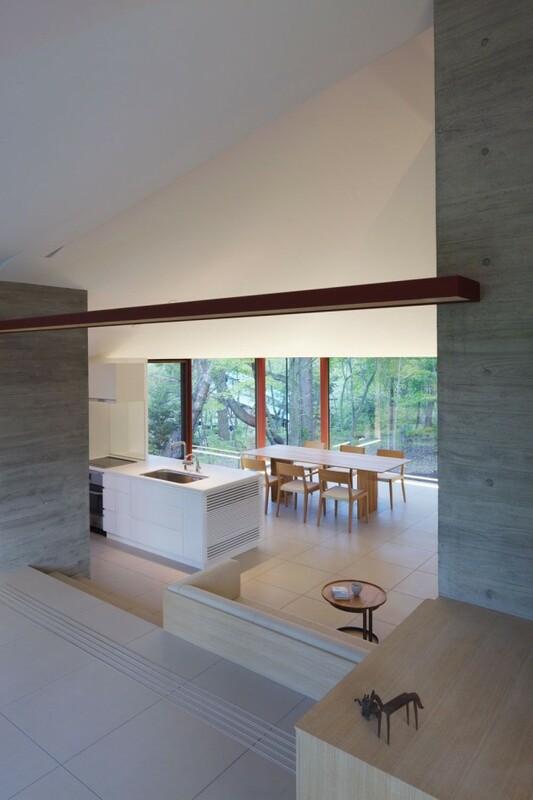 Sunlight coming through the slits between the roofs highlights the division of the inner spaces.